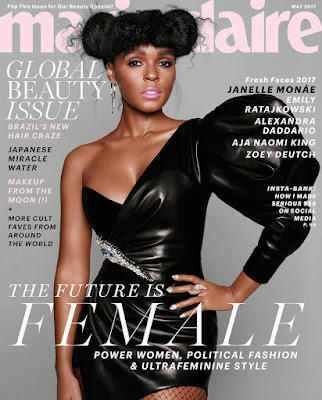 Janelle Monae looks stunning on the May 2017 issue of Marie Claire. She was photographed by Nicolas Moore for this shoot. In this issue she talks about what it means to be a black woman and "black-girl magic".